Recently I conducted some target audience research. And I learned something tasty—and a bit unexpected. Ready? Successful marketers are 242 percent more likely to report conducting audience research at least once per quarter. And 56 percent of my study’s most elite marketers conduct research once or more per month. So, researching your target audience is a marketing must. And not just for product development—it’s a gateway to connecting with your audience in revelatory ways. It’s just like finding your content core. Surveys, customer interviews, and other forms of feedback help you laser-focus on the intersection of your audience’s problems and your ability to help solve them. Top marketers document their marketing strategy. Marketers who document strategy are 538 percent more likely to report success than those who don’t. Top marketers document their marketing processes. Marketers who document process are 466 percent more likely to report success than those who don’t. Marketers who set goals are 429 percent more likely to report success than those who don’t. And 81 percent of those successful, goal-setting marketers achieve them. But the most valuable learning came from getting a peek into our target audience. You know, what they care about. The challenges they face. The gaps between their success and failure. 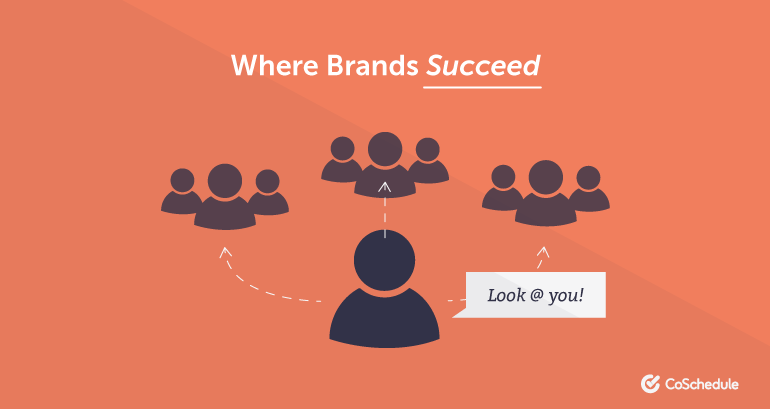 The best news is researching your audience is easier than ever. It’s a genuine low-cost, high-reward activity, and it’s one of the quickest ways to separate yourself from the marketing herd. 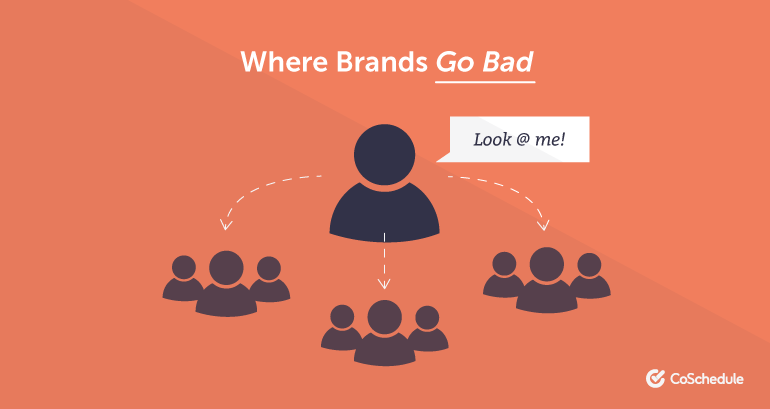 After all, we discovered 65 percent of marketers rarely conduct research (if at all)! So let’s gear you up with an easy, three-step process, plus a template to rock target audience research like a pro. We’ll use the example of conducting a survey throughout. Though, if this is new territory for you, be pretty generous with your definition of “target audience research.” Heck, I’d even count picking up the phone for some customer convos or shooting off an email or two. Content is king. Marketers who spend more time creating content will say their marketing is successful. Quality over quantity. Marketers who have higher quality content will say their marketing is successful. There is no correlation between time spent creating content and reported marketing success. There is some positive correlation between content quality and marketing success, but nothing earth shattering. Relevant content is resonant content. The first sheet is labeled the “Assumptions Buster.” In column A, insert your audience persona or brief description of your target audience. Next, list an assumption about that audience segment plus your reasoning behind said assumption. Then you’ll start brainstorming the questions to prove or disprove this assumption. For best results, list as many relevant assumptions as you can think of for each persona or segment. You don’t have to test them all. But the more you outline, the better your questions will be. 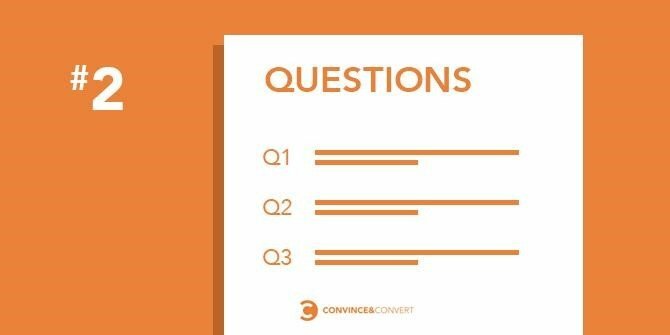 Next, you’ll move the best questions from sheet one onto sheet two, labeled “Survey Questions.” Remember, your data is only as good as your questions, so clear, concise, and relevant questions are your survey’s lifeblood. My favorite article on writing survey questions comes from Qualtrics. They outline the 10 Commandments for killer survey questions. (Definitely worth a read!) I’ll synopsize what I found to be the three most important considerations. Avoid loaded or leading words: Don’t use words like “could,” “should,” or “might.” They may sound the same but can be interpreted differently. Avoid non-specific questions: A question with issues of “meaning” or “frequency” is hard to specify. For instance, with the question, “Do you watch TV regularly?”, what does “regularly” mean? Avoid non-exhaustive listings: If you’re listing multiple-choice answers, give people an “Other (please specify)” option—unless you can cover 100 percent of the choices. This is an excellent candidate for pretesting. This is where sheet two comes in. Your questions belong in column A. Next, note what type of question you’re asking. Here are some ideas (though non-exhaustive). Free text: Simple text entry, y’all. These are incredibly insightful if you’re trying to pick up on the language your target audience uses. However, it’s also the most labor-intensive at high volumes and makes it tough to run any kind of regression. Binary: Yes or no. Hot or cold. ‘Nuff said. Scale: These questions can run the gamut of “Strongly Agree” to “Strongly Disagree.” With these, make sure to give folks a “Neutral” option if the question isn’t completely relevant to them. After you’ve knocked out your questions, consider using a pilot survey to give your questions a test drive. This way you can ensure people understand what you mean. Were any questions confusing? If so, which? Did any questions seem irrelevant to your situation? If so, which? Then I took the responses and cleaned up the frequent offenders. Your correlation strength is known as an R-value. It’s measured on a scale from -1 to 1, with 1 being 100 percent correlated, and -1 being 100 percent negatively correlated. What you’re looking for are patterns that signal whether or not two factors have a chance of impacting the other. 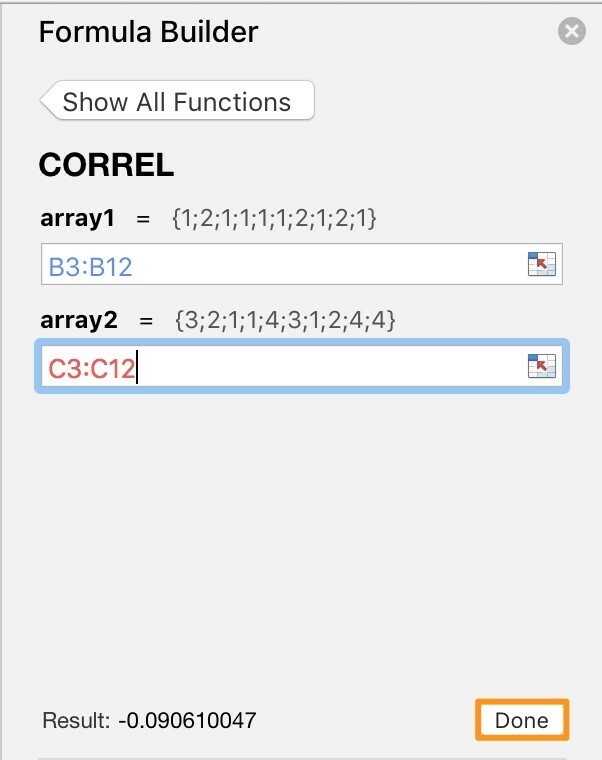 For example, take a peek at the example CORREL function from your template. Then, the cell you inserted the function into will output the correlation, or R-value, between the two datasets. From here, you can dig into “why” these data points are correlated positively or negatively. 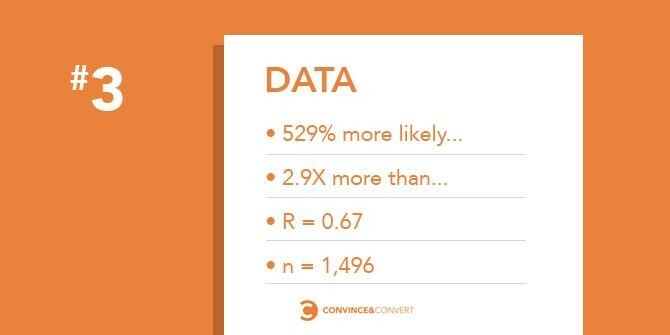 And remember, correlation does not equal causation, so ensure to take your context into consideration to use your original research like the savviest of marketers. 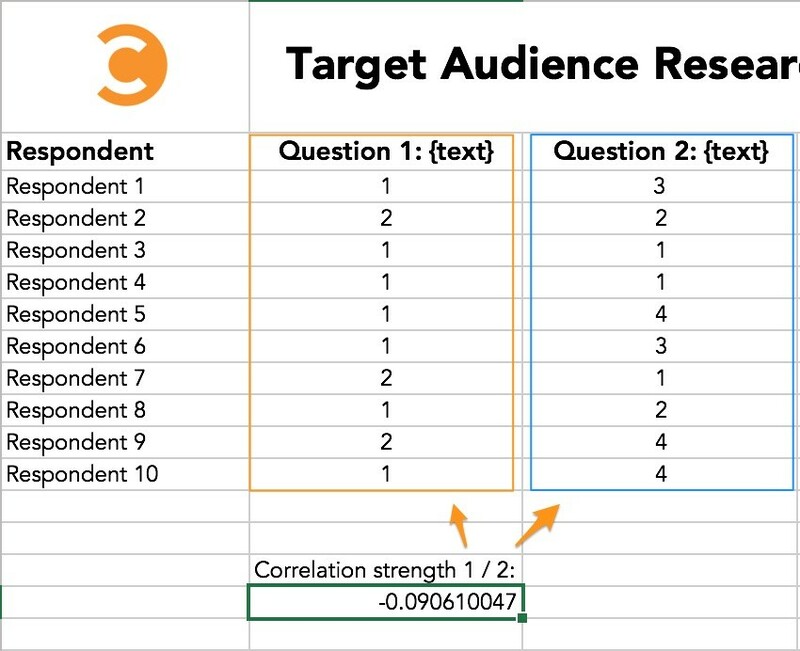 You’re all set to rock some target audience research. Obviously, you can delve far deeper and use more expansive methods. But if you’re new, this is a high-return place to start. 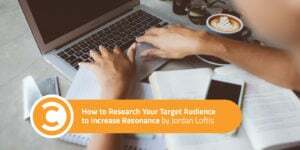 Now sink your teeth into some research, and do the best (and most resonant) marketing of your career!